This Curio Combines rustic elements with traditional styling for a one of a kind design. The dark, Cremone bolt hardware contrasts the light finish. 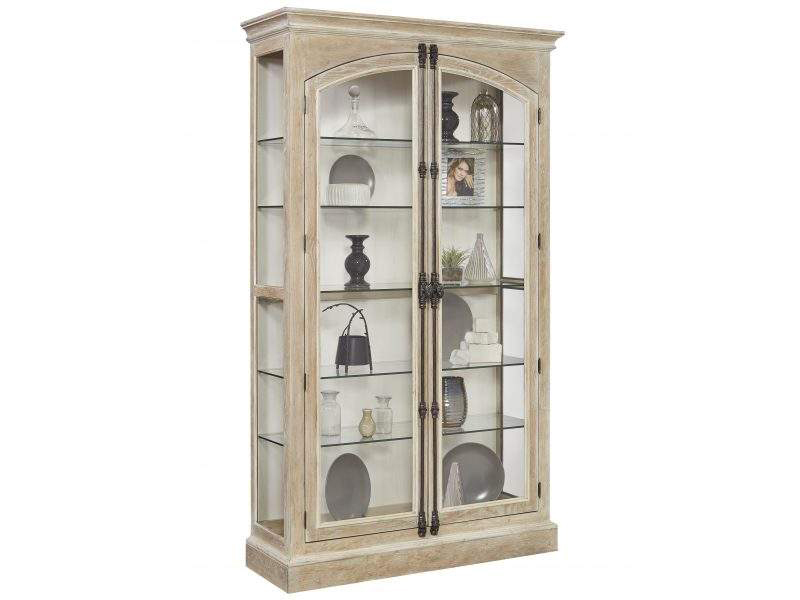 Traditional framing, glass shelves and arched doors add to the elegance of this piece. Antique style “seedy”glass door panels give an air of antiquity to the piece.